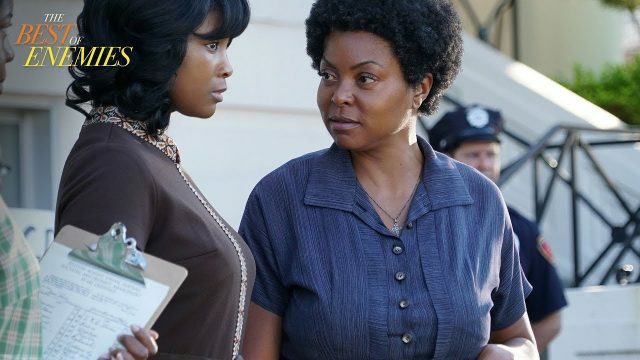 Ahead of the film’s theatrical release this Friday, STXfilms has released a new featurette for their upcoming civil rights drama The Best of Enemies, giving the spotlight to fierce and courageous Ann Atwater, portrayed Golden Globe winner Taraji P. Henson (Hidden Figures, What Men Want). Check out the video below! The Best of Enemies follows the story of Ann Atwater (Henson), a civil rights activist in Durham, N.C., who battled Ku Klux Klan leader C.P. Ellis (Academy Award winner Sam Rockwell) for a decade until 1971 when the two agreed to co-chair a two-week community meeting to deal with a court-ordered school desegregation decree. That event changed both of their lives immeasurably. The Best of Enemies will be directed by Robin Bissell which marks his directorial debut. He also adapted the script from Osha Gray Davidson’s book “The Best of Enemies: Race and Redemption in the New South.” The cast also includes Babou Ceesay (Rogue One), who will play Bill Riddick who convinced Ellis and Atwater to try to reach a compromise. Also cast in the film are Anne Heche, Wes Bentley, Bruce McGill, John Gallagher Jr., and Nick Searcy. The film is produced by Fred Bernstein’s Astute Films, Danny Strong (Empire), Tobey Maguire, Matthew Plouffe, Bernstein along with Matt Berenson, Bissell and Dominique Telson. Rick Jackson and Jeremiah Samuels serve as executive producers.